Former First Lady Barbara Bush passed away on Tuesday at the age of 92, with no fear of dying, because of her faith in God. Mrs. Bush, whose health had been failing for a while, discussed her faith and how she was using it to face death, during an interview with C-SPAN back in 2013. 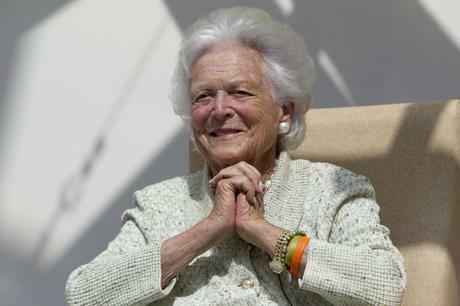 Mrs. Bush said that her faith helps her face the end of her life, which she admitted was approaching. Barbara Bush had been in failing health, suffering from congestive heart failure and chronic obstructive pulmonary disease. After a series of hospitalizations, she decided not to seek further medical treatment, the family announced Sunday. The official funeral schedule has not yet been announced. She and her husband, George H.W. Bush, the 41st president, were married longer than any presidential couple in American history, 73 years.